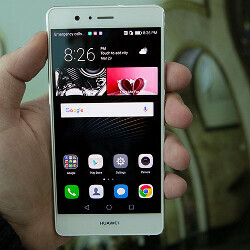 There's no question that Huawei sees its new P9 and P9 Plus handsets as bona fide competition to the Apples and Samsungs at the top of the market. Though the new line is not slated to retail in the United States -- at least, not for the time being -- it carries a solid assortment of specs and a relatively high price to match. In order to broaden the appeal of the P9 range to those who may not have several hundred bucks to spare, a cheaper version of the device is said to be in the offing. Set to be called the Huawei P9 Lite, the device will include a 5.2-inch FHD display and only a single rear-facing camera, according to info shared by the folks at Hi-tech. The standard P9 and P9 Plus both sport dual rear shooters, which have been brought to fruition with the help of optics specialist Leica. Huawei has hitherto waxed poetic of the German firm's input, though it remains to be seen whether the collaborative effort lives up to the hype. Already, snaps taken across the globe with the handset have begun to pop up on social media. Elsewhere, the P9 Lite will offer an 8-megapixel front shooter and 16 gigs of on-board storage expandable via microSD. There'll apparently be a choice of two configurations of the P9 Lite: one with 2 GB of RAM, and one with 3 GB. As with the higher-end variants, there will be a fingerprint scanner on the back, and an identical 3000 mAh internal battery. There's no word as yet on when the P9 Lite will begin shipping, though presumably, it won't be too far behind the standard P9 and the P9 Plus. The first part is true, the second is a lie. Just wanted to see the comments. Saw it in google news, source not trustworthy though. Kirin 650 has Mali-T880 GPU. Probably MP2 version (2 cores). And four A72 cores. Seems like pretty strong midange device.